Walk from the New Yorker Hotel to the meeting place of Free Tours by Foot. For details and photos of this tour, see my post "Free Walking Tour of Midtown Manhattan by Free Tours by Foot: A Traveler's Review"
From Rockefeller Center, we passed by K Radio City Music Hall. After taking pictures in front of the Radio City Music Hall, we walked to L Bocca Restaurant to eat lunch. From Bocca Restaurant, we walked to Tiffany's store to checkout where Audrey Hepburn shot the movie Breakfast at Tiffany's. 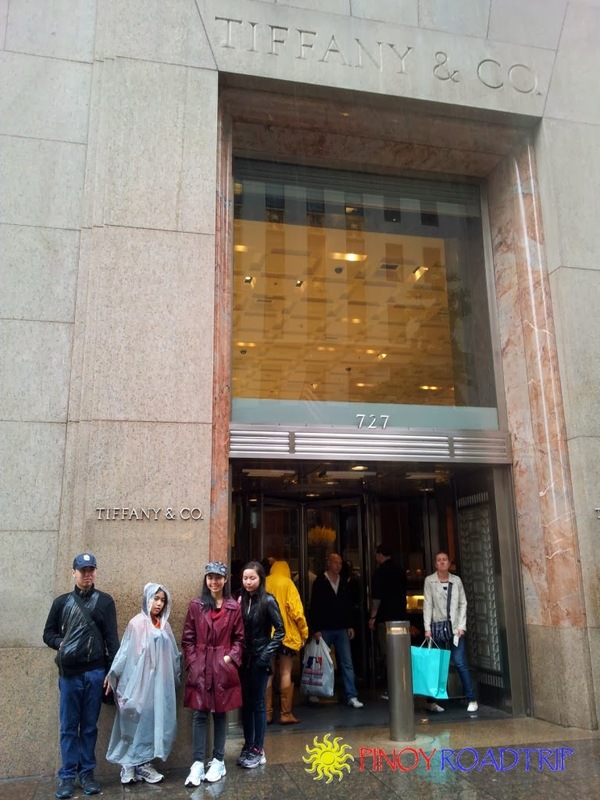 Visit and enter the M Tiffany's store at 727 Fifth Avenue. 1. To see where Audrey Hepburn shot the classic movie "Breakfast at Tiffany's". My kids watched this movie so they're interested in seeing this movie location. Check out the video below of the famous opening scene of the movie, "Breakfast at Tiffany's". 2. Make sure to enter Tiffany's to see the unique jewelry they produce that are really works of art. You realize why Tiffany's is so famous and why Tiffany's jewelry is sought after. Walk around and explore Fifth Avenue. Why do the UN tour: That's the only way you're able to visit and enter the UN General Assembly. Everytime the kids see the UN General Assembly on CNN, they exclaim "We were there!!" For details and photos of this tour, see my post "NEW YORK: United Nations Tour with Kids"